Mallett’s first major outing following the announcement of the Stanley Gibbons deal will be at Brian and Anna Haughton’s 26th International Fine Art & Antiques Show in New York from October 17-23. The fair, staged in The Park Avenue Armory, Mallett will join 64 other dealers, including a raft of new exhibitors, many of them well-known names, selling a wide range of high-end art, antiques and collectables. Some of the new exhibitors bring new disciplines, among them Ancient Art of the New World Inc, US-based specialists in Pre-Columbian art. 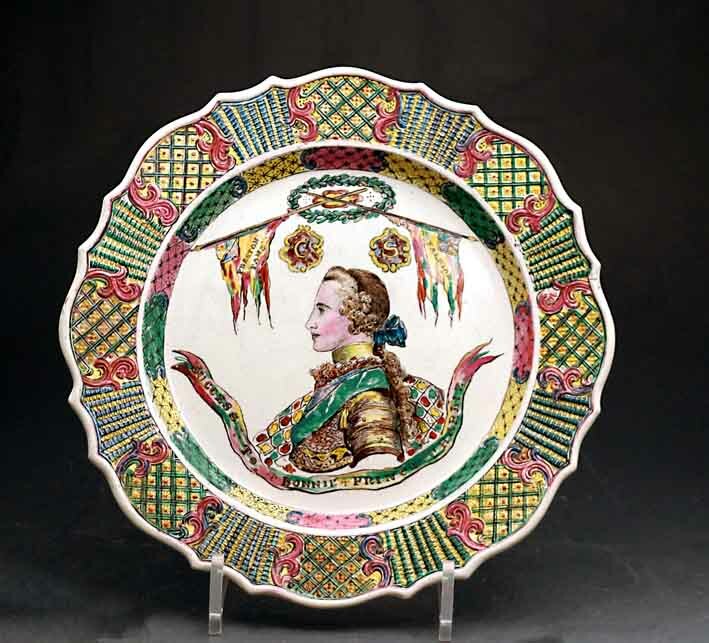 Marc Heiremans of Belgium will bring Venetian glass, while John Howard, the UK pottery specialist based in Woodstock in Oxfordshire, will echo the recent Scottish Referendum debate by presenting this c.1745 Staffordshire Saltglaze pottery plate commemorating Bonnie Prince Charlie and his attempt to gain the English throne, priced at £17,500. Joanna Booth also boosts the UK contingent, with sculpture, wood carvings, textiles, Old Master drawings and early furniture, as does Sylvia Powell Decorative Arts with art pottery. Jewellery forms one of the strongest sectors at the fair, with the c.1880 diamond star tiara with five detachable brooches to be found on the stand of London dealers Hancock.